"I have three tattoos. The first is an eye at the base of my neck, which I acquired on a complete whim at the age of about 25 because I decided I should have a tattoo. 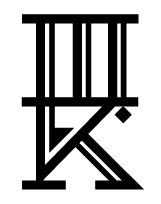 I liked the design, but people frequently can't tell what it is, and the color washed out a little because I didn't yet know how to care for a tattoo. 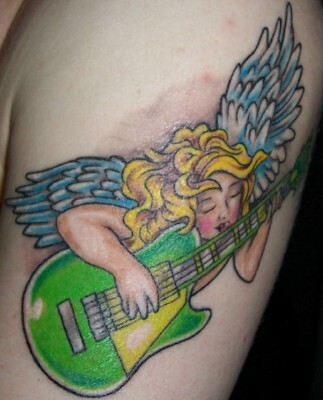 The second is a brain tattoo on my left shoulder. Shortly after I got that tattoo, I knew I would need a third, because I am obsessive-compulsively symmetrical about some things, and it drove me crazy to have only one shoulder marked. 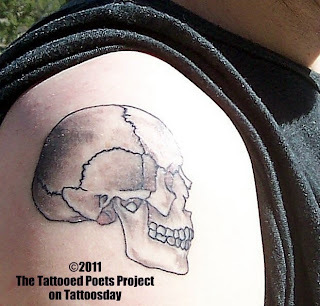 So this skull is on my right shoulder. 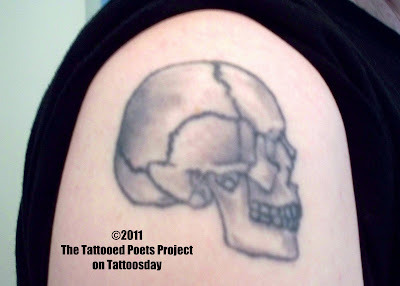 Both the brain and skull came from a shop in Colorado Springs called R-U Tattooed, which I recommend." Of food or shock from the buzzer button. Interrupted. They call it getting better. 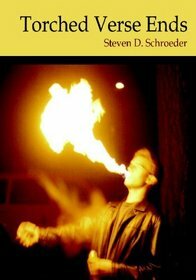 Steven D. Schroeder’s first book of poetry is Torched Verse Ends (BlazeVOX [books]). His poems are available or forthcoming from Pleiades, The Journal, Copper Nickel, Sou’wester, and The Rumpus. He edits the online poetry journal Anti-, serves as a contributing editor for River Styx, and works as a Certified Professional Résumé Writer.